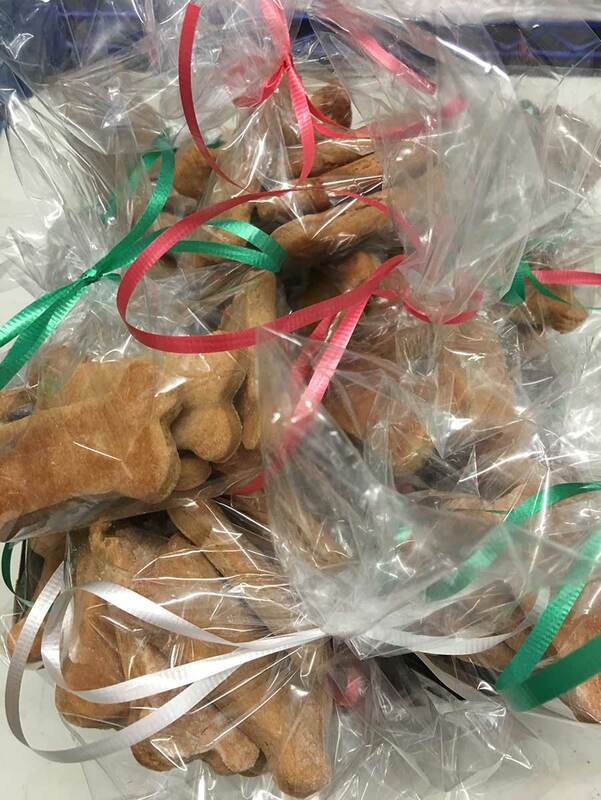 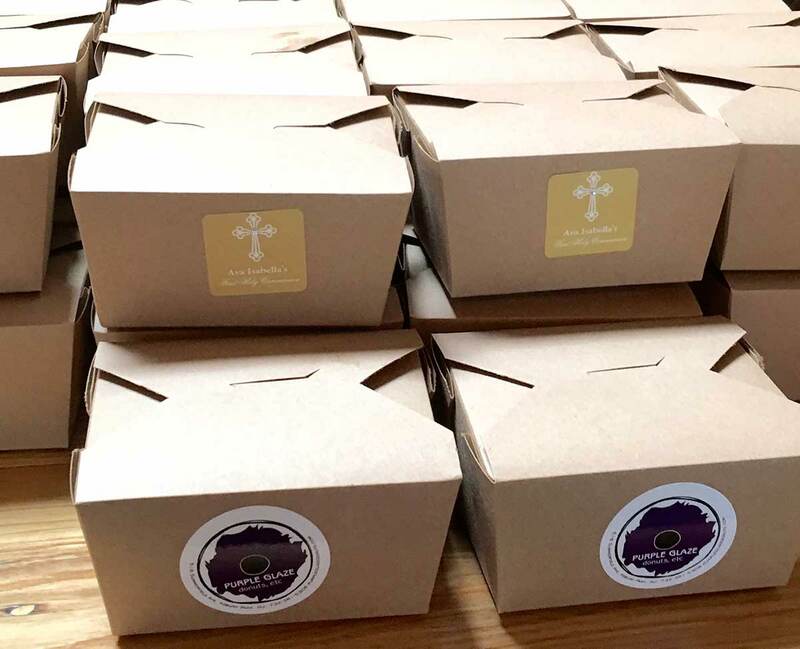 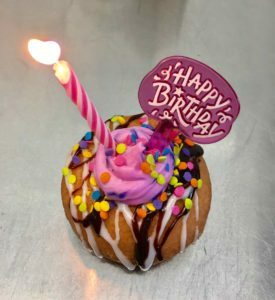 Make any occasion special and unique for you and your guests with a custom order. 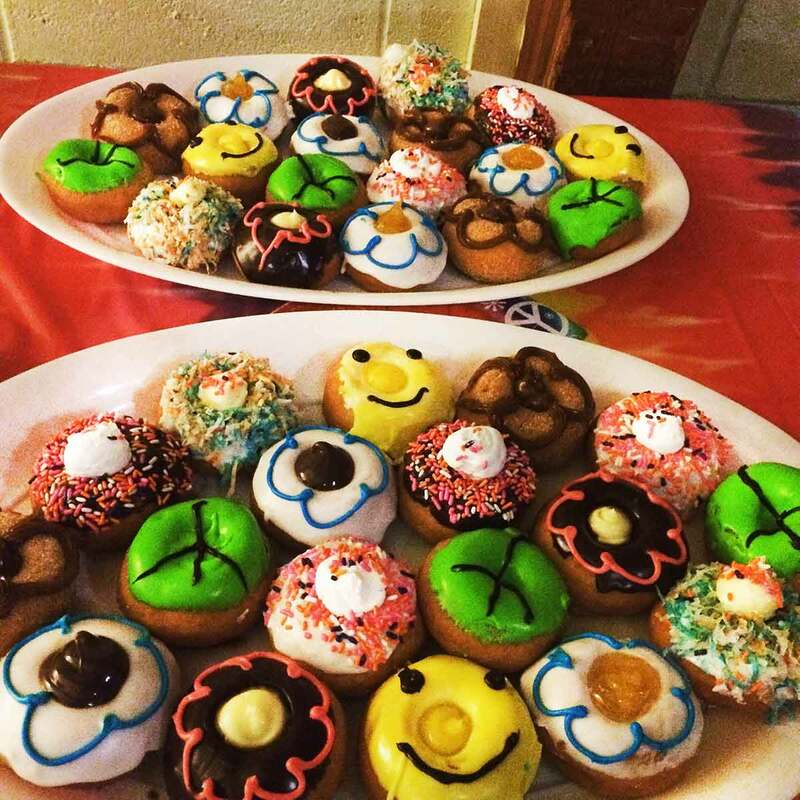 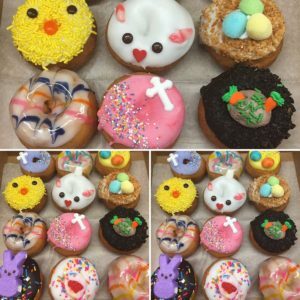 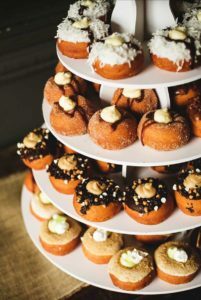 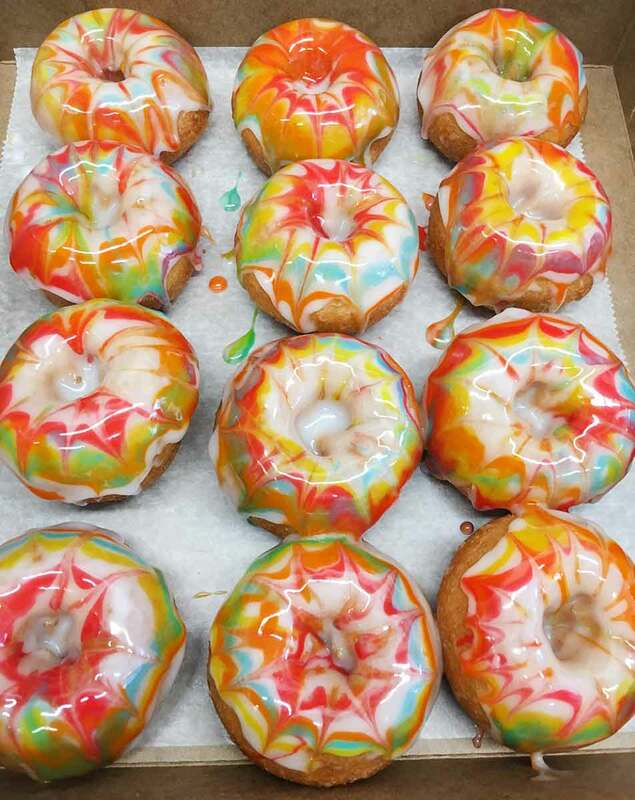 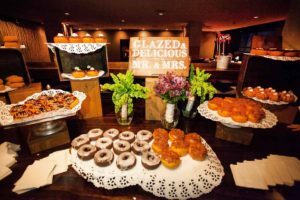 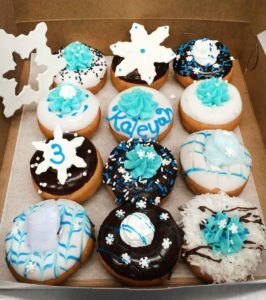 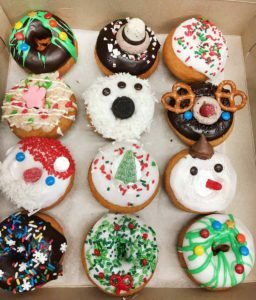 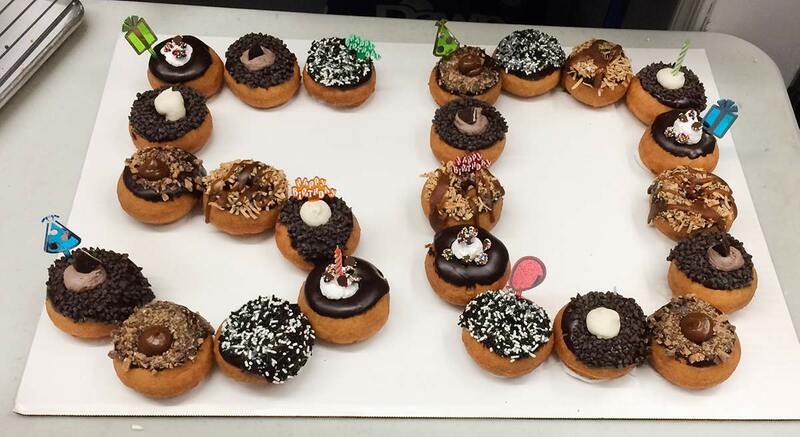 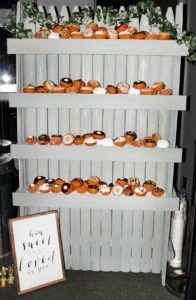 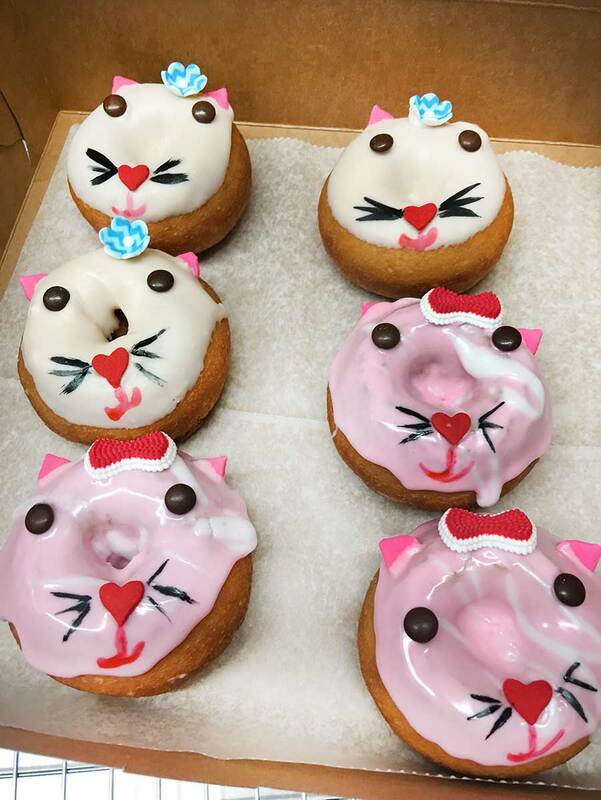 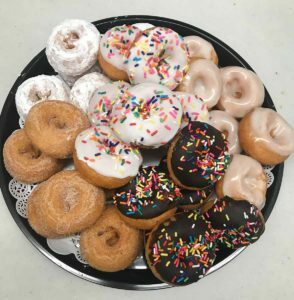 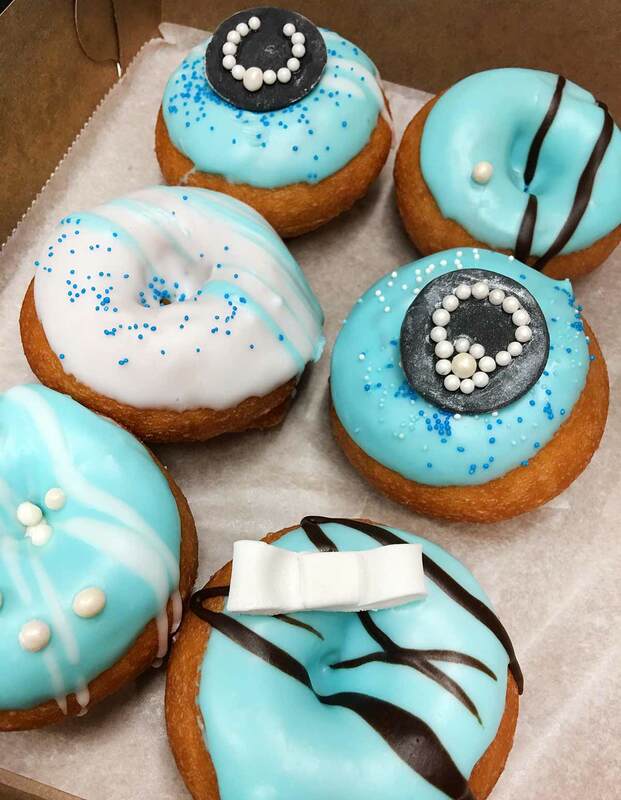 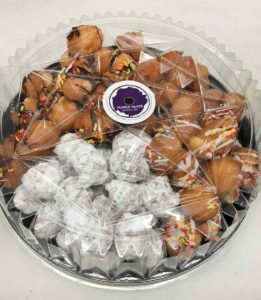 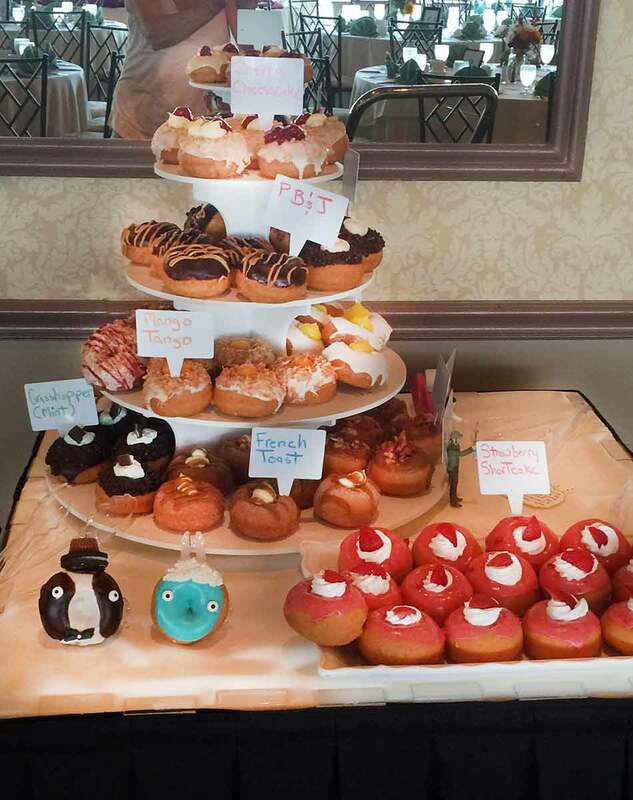 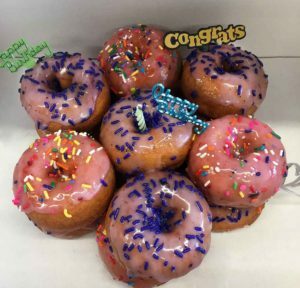 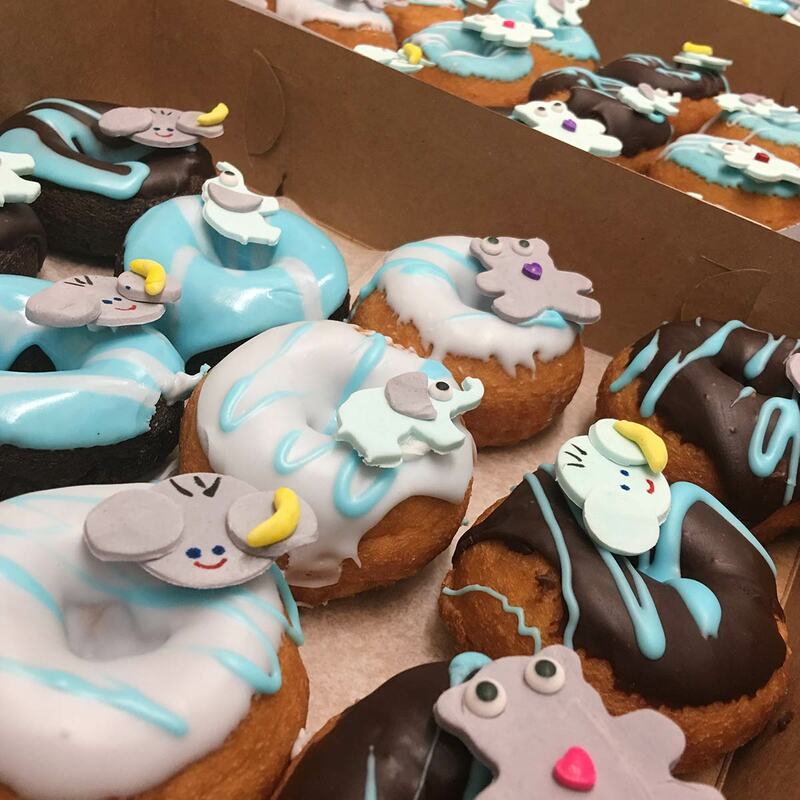 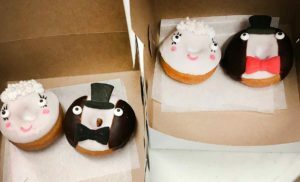 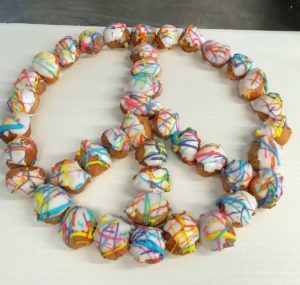 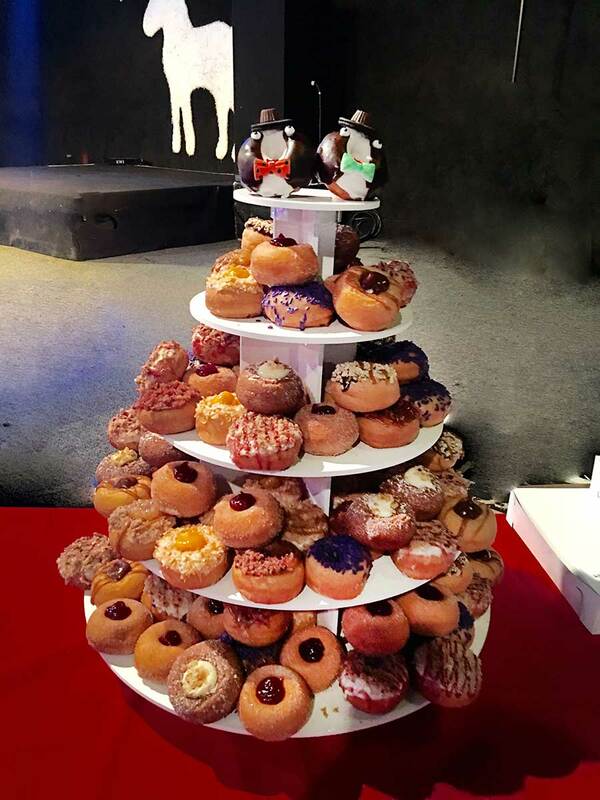 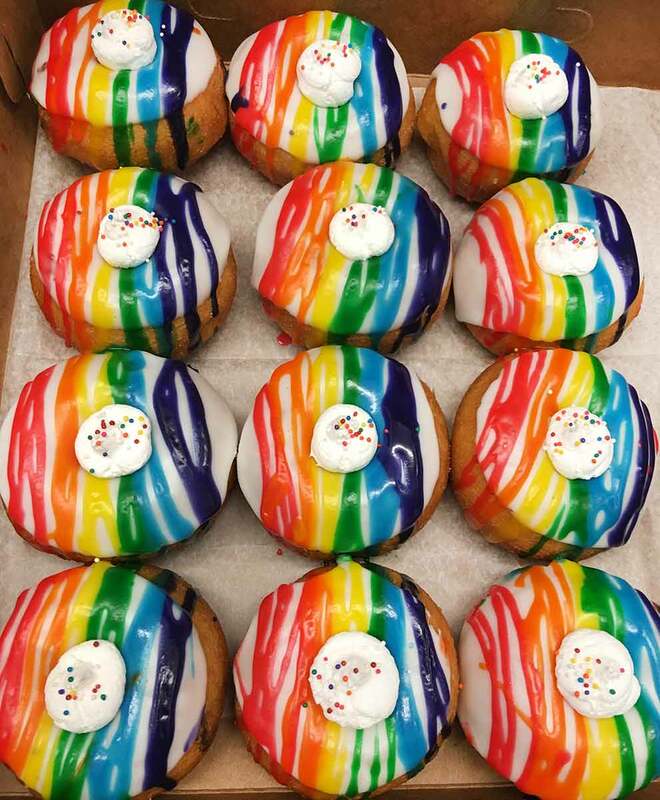 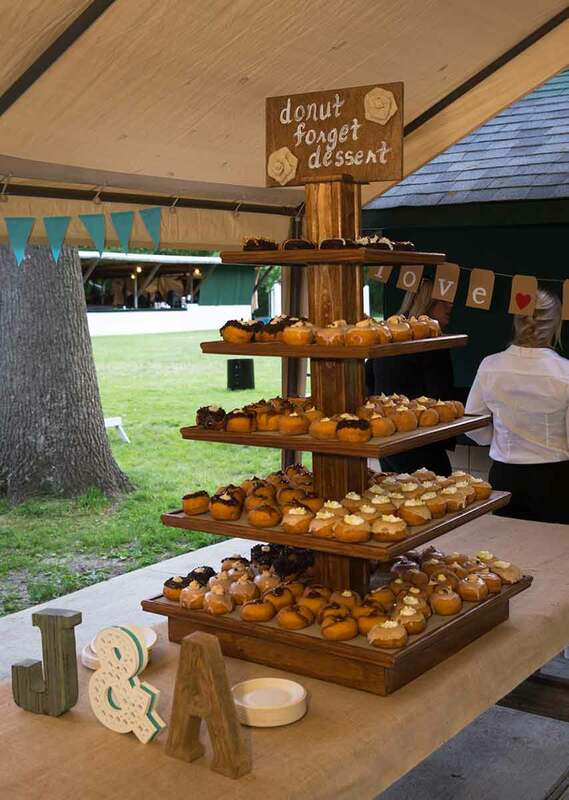 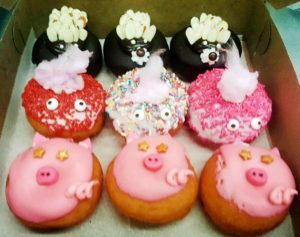 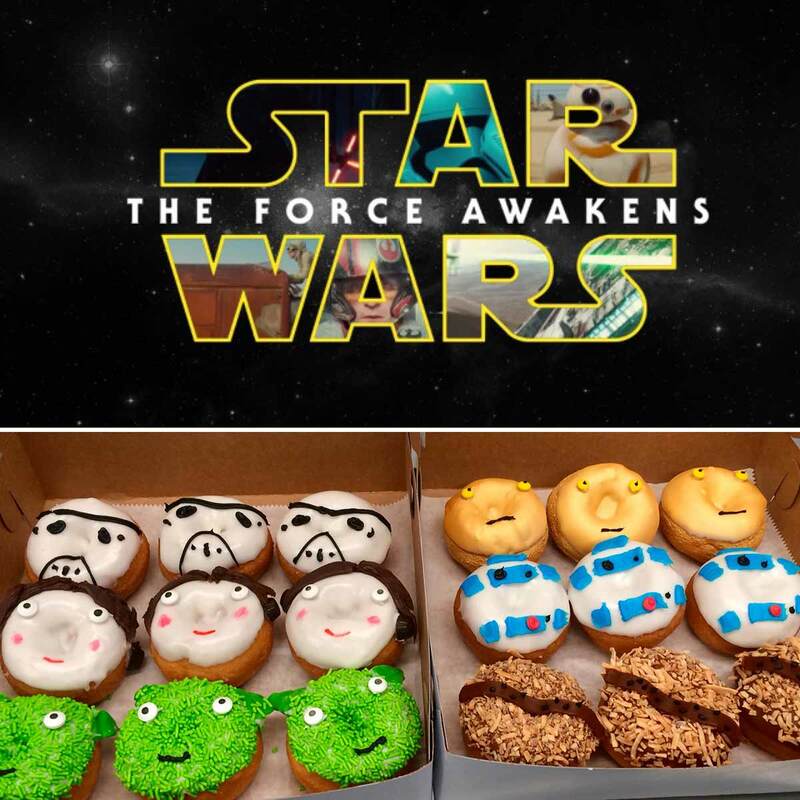 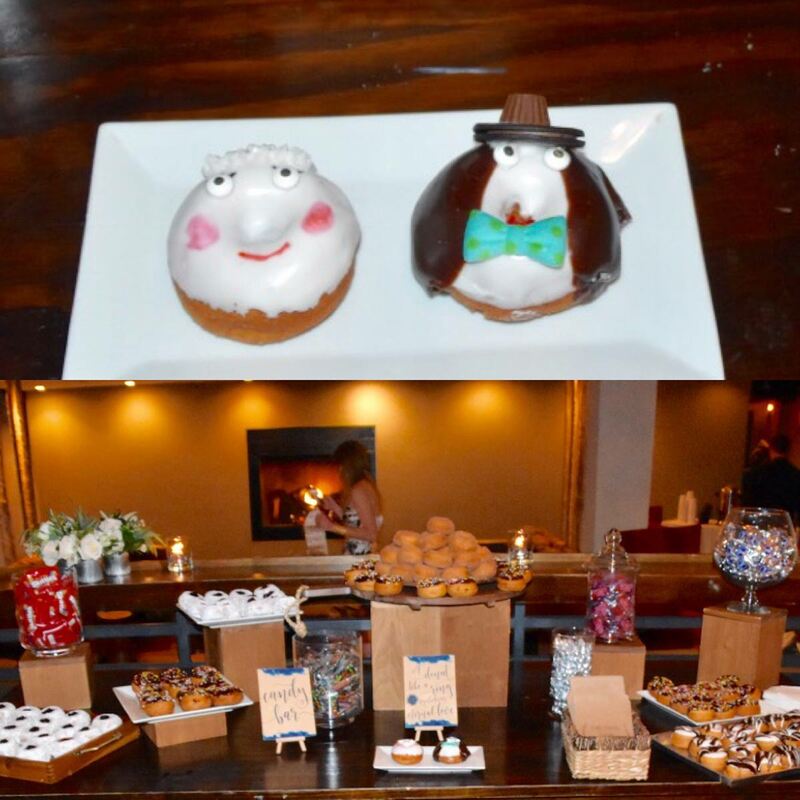 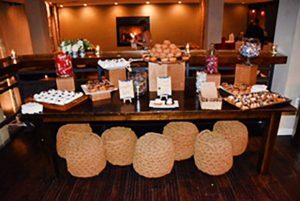 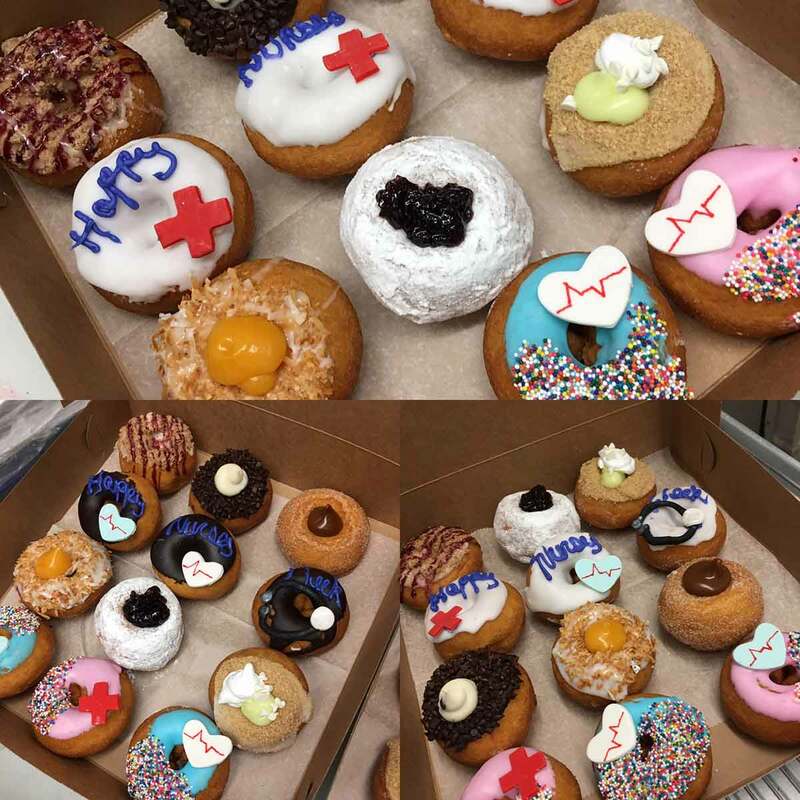 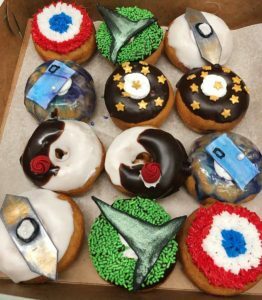 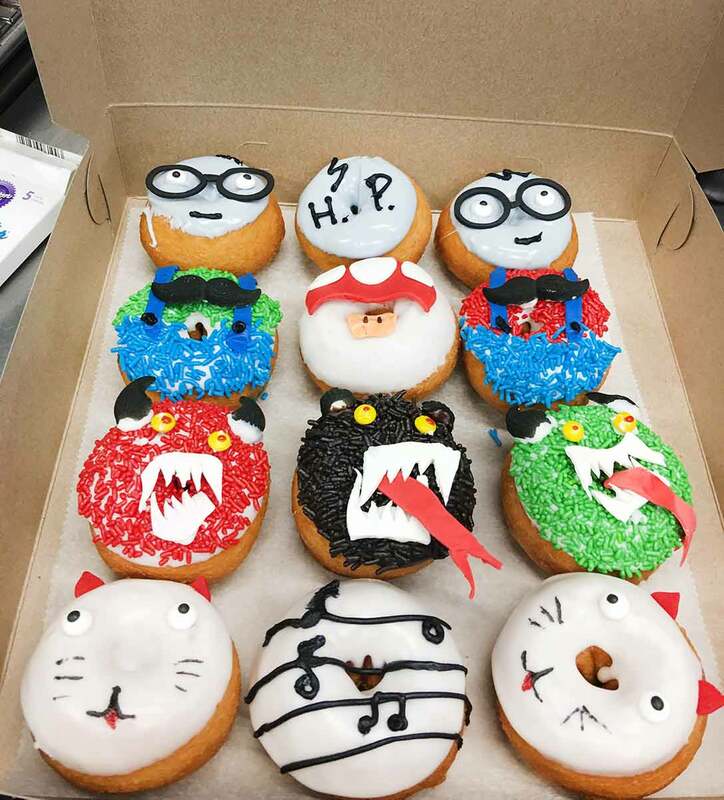 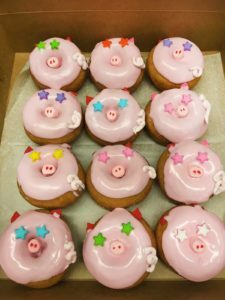 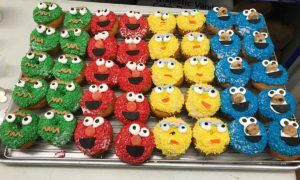 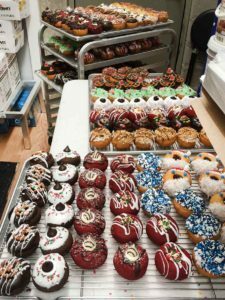 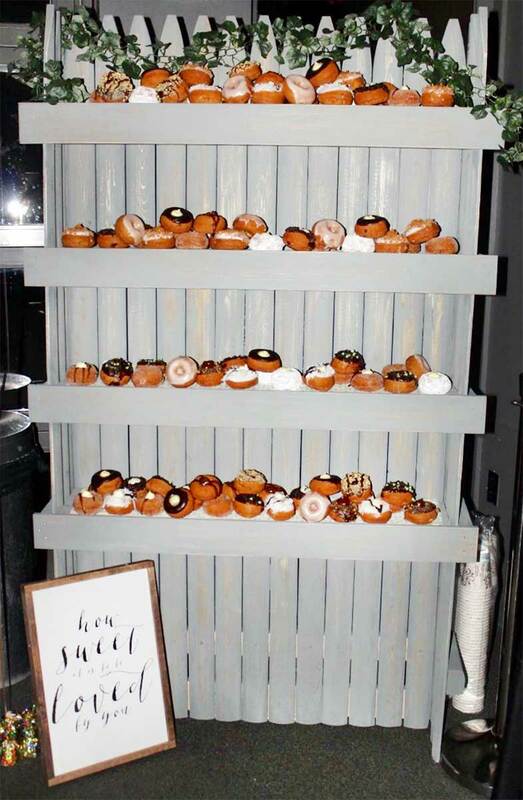 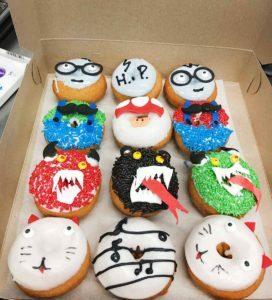 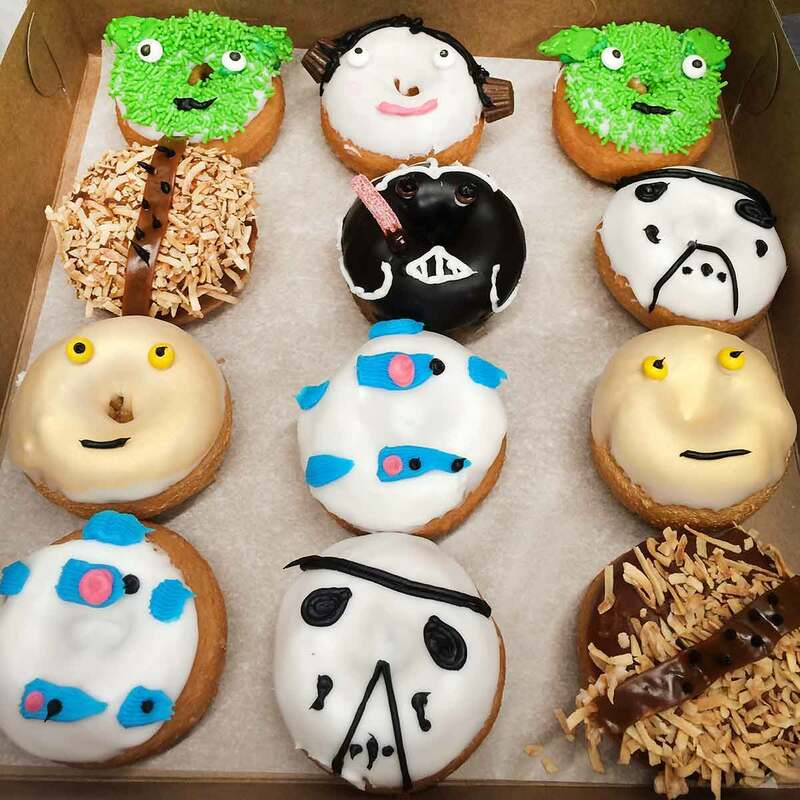 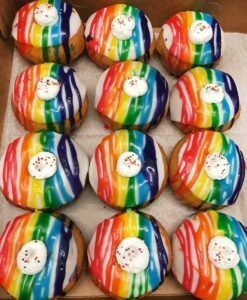 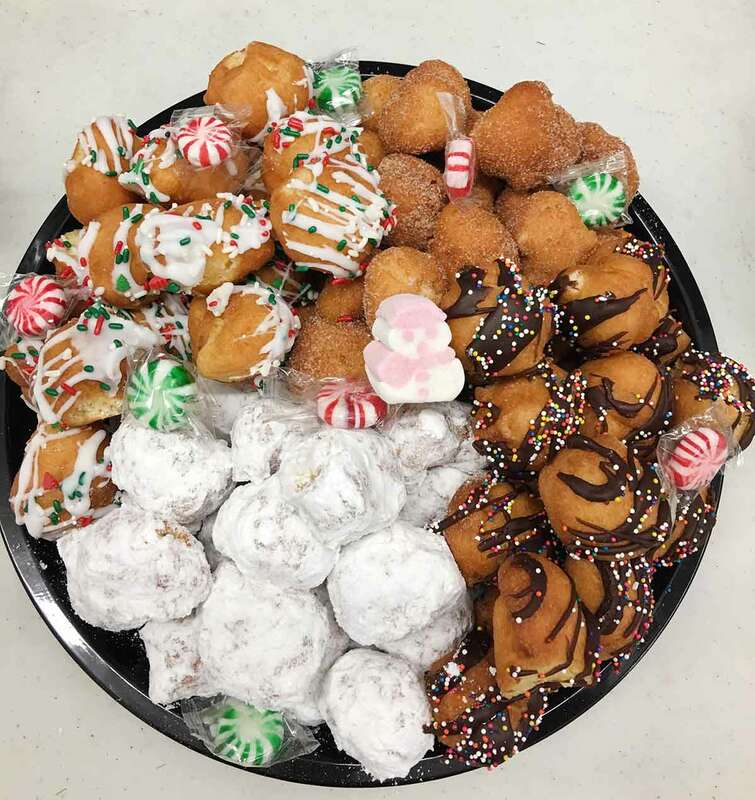 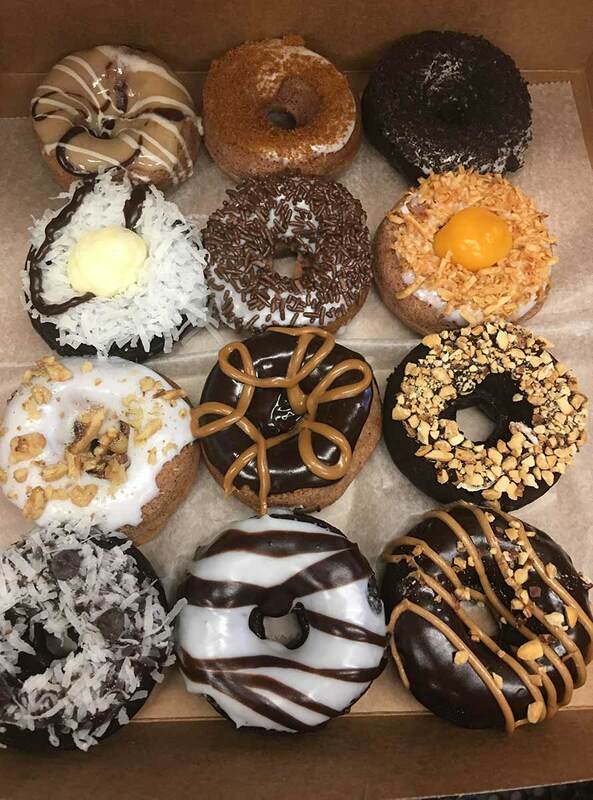 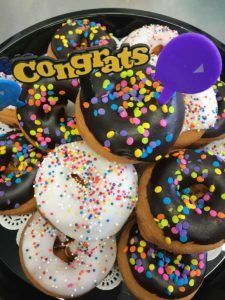 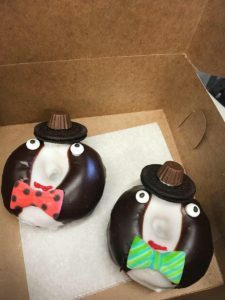 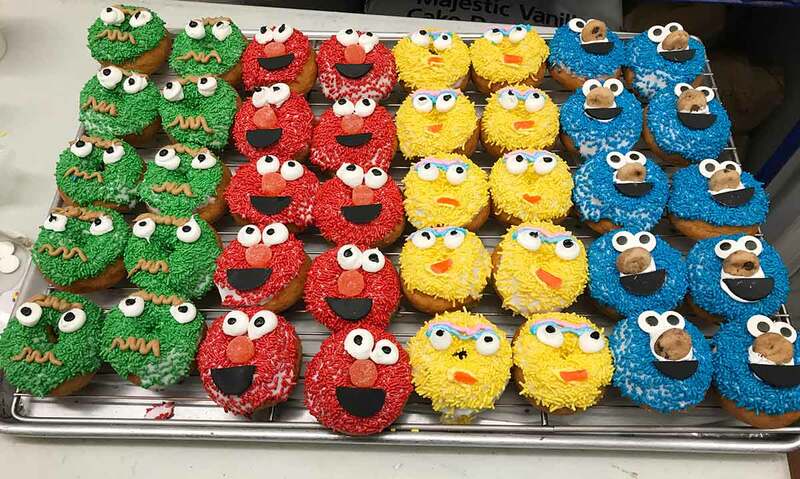 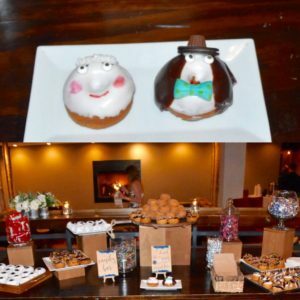 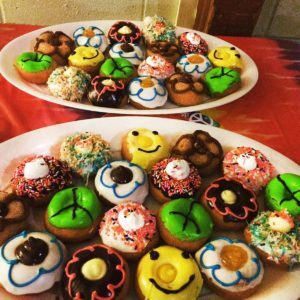 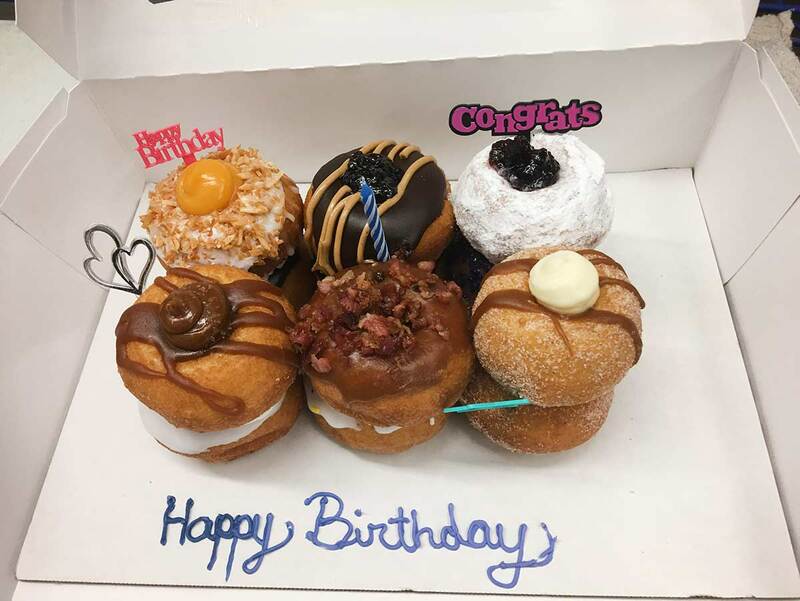 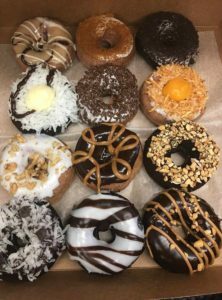 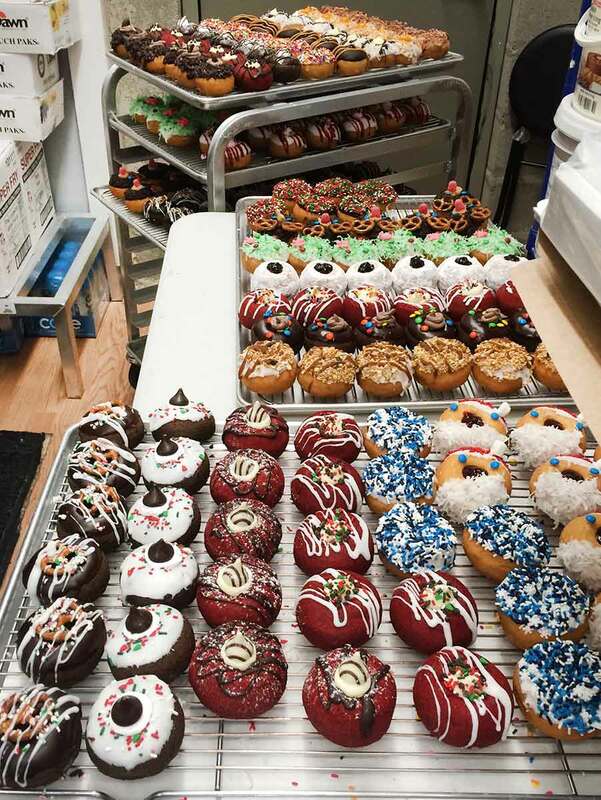 Donuts make a delicious addition to any event. 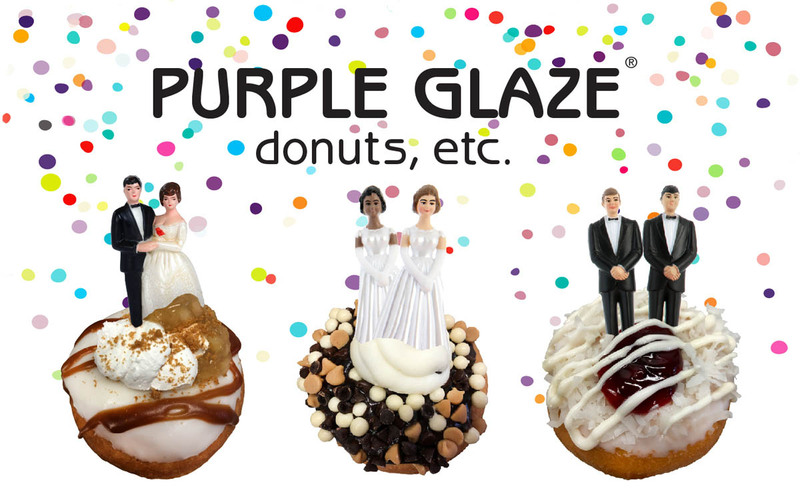 They are perfect for birthdays, meetings, breakfasts, brunches, weddings, showers — you name it! 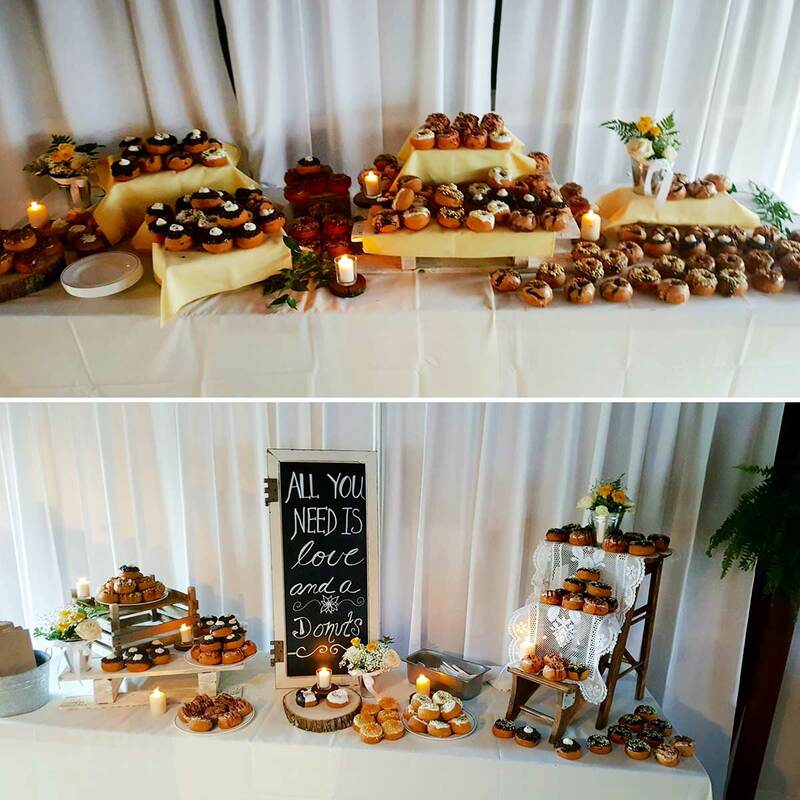 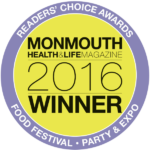 Contact us for our catering menu and price list.